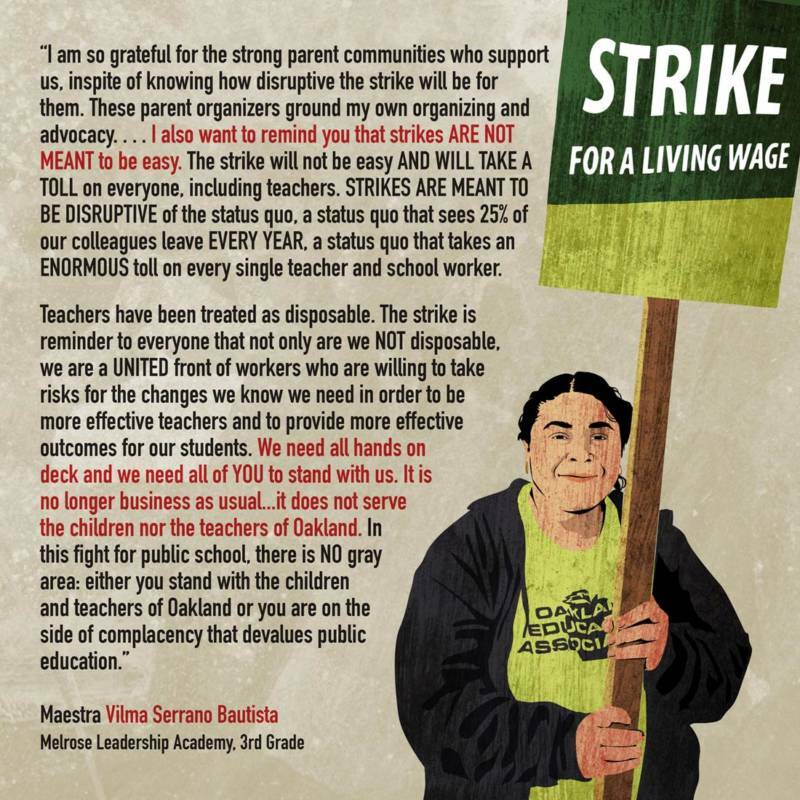 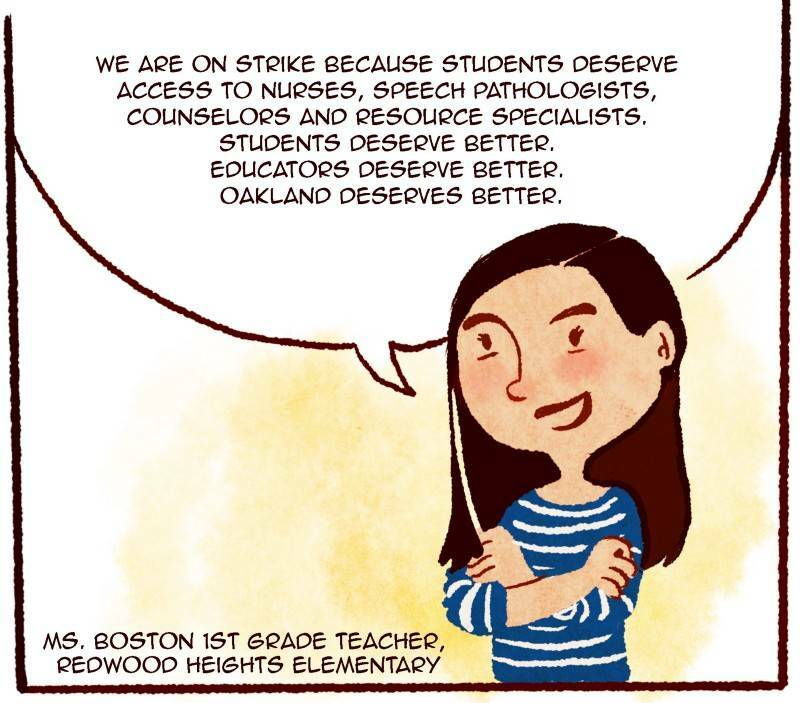 When Thi Bui learned that Oakland Unified School District teachers were going on strike, she knew that had to do something. 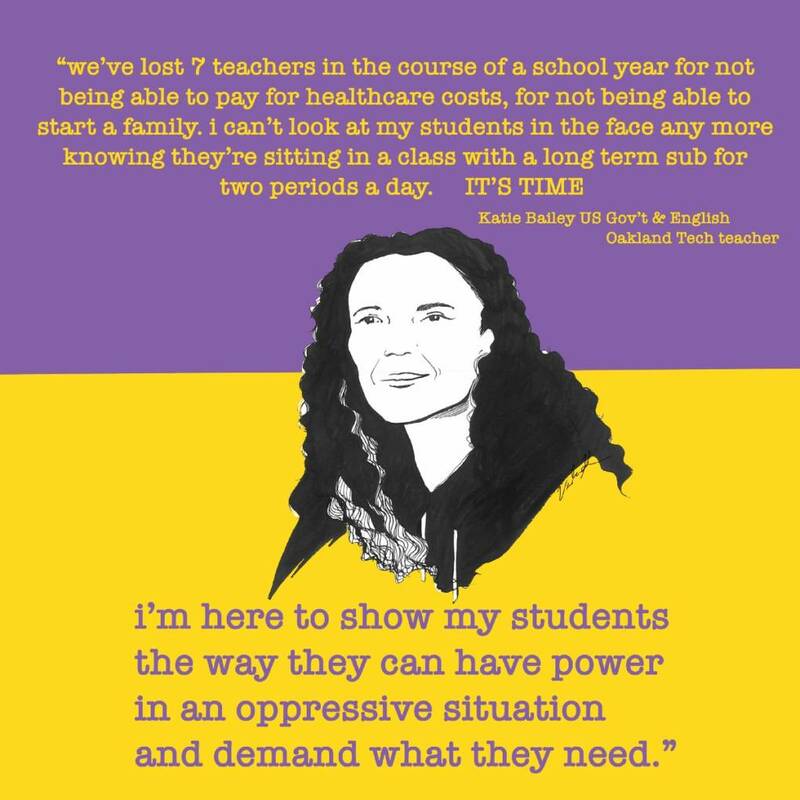 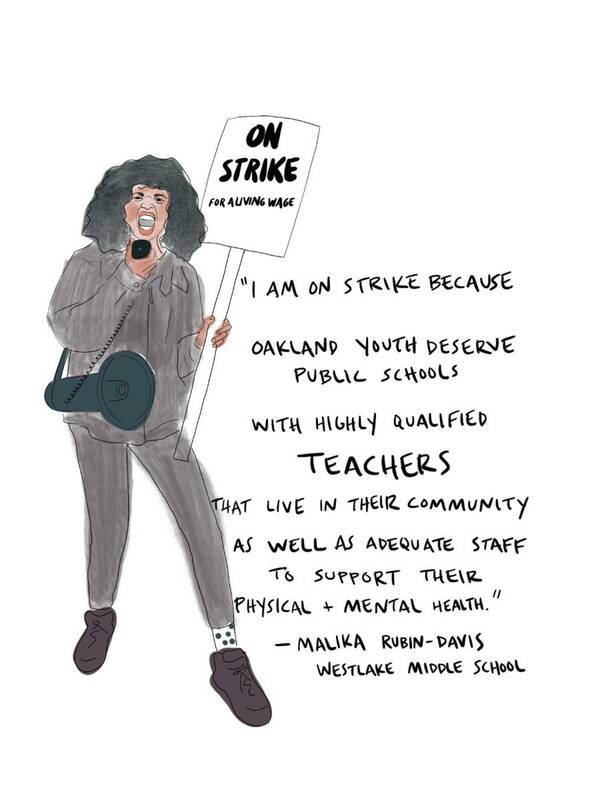 As a former teacher at Oakland International High School for seven years, she was all too familiar with the challenges teachers face. 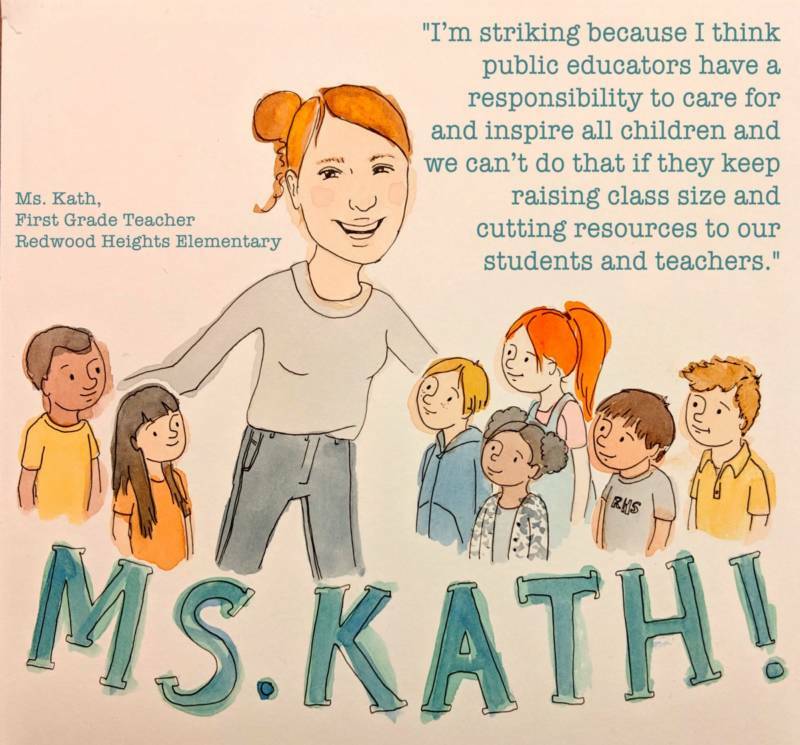 As a cartoonist and illustrator, though, what, exactly, could she do? 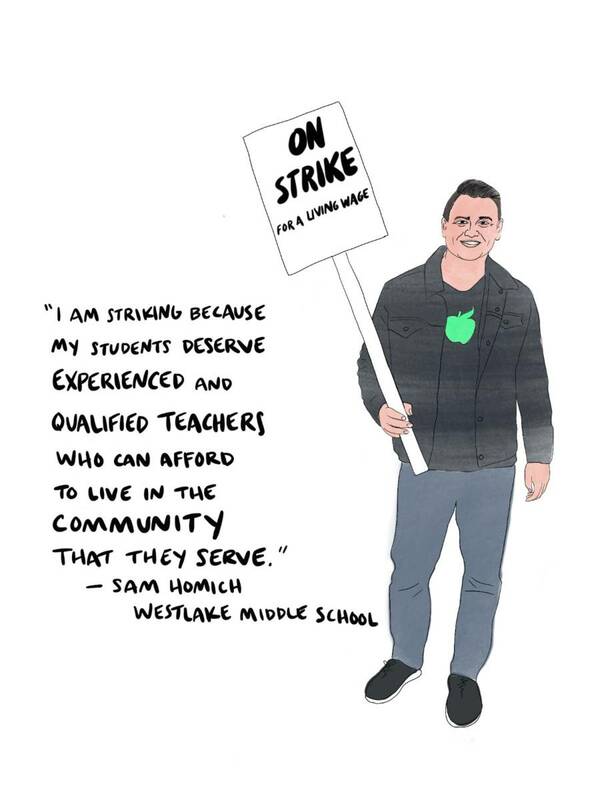 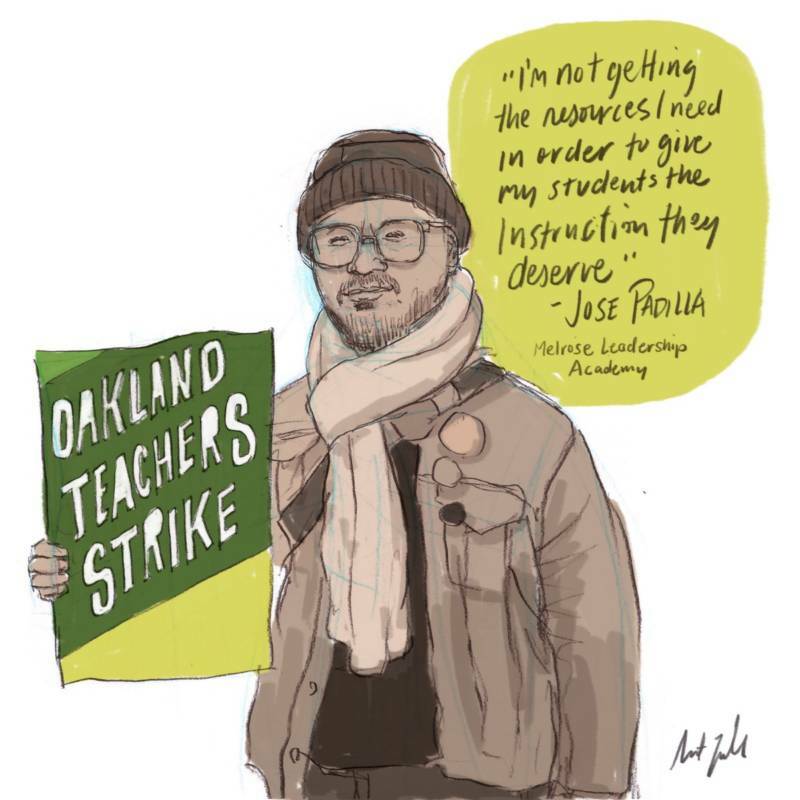 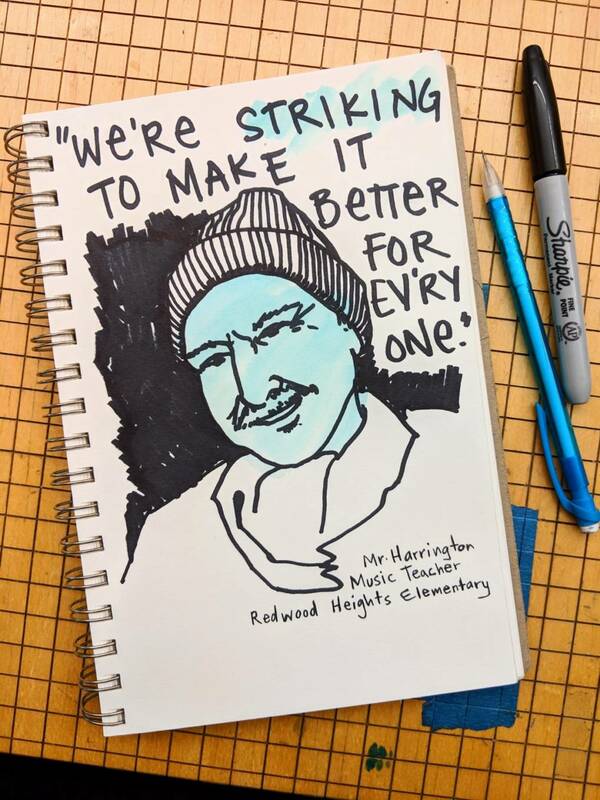 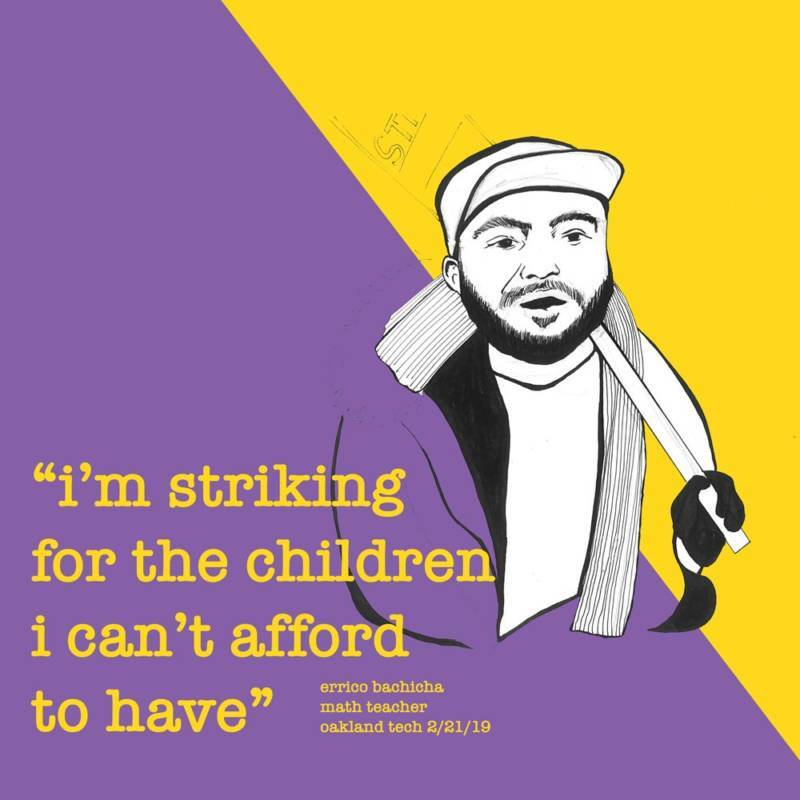 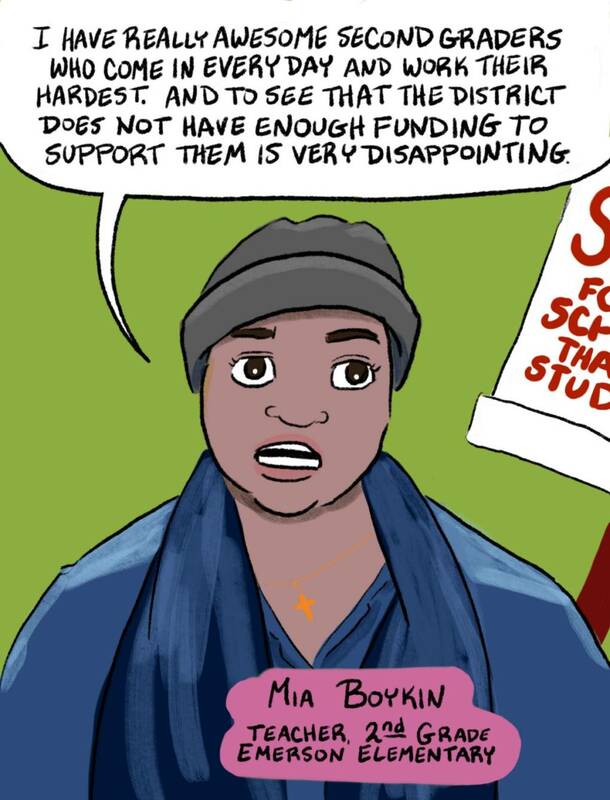 The answer was to assemble a dozen Bay Area illustrators, cartoonists, and graphic designers to visit Oakland schools on Thursday, Feb. 21, and talk to teachers directly about their personal reasons for striking. 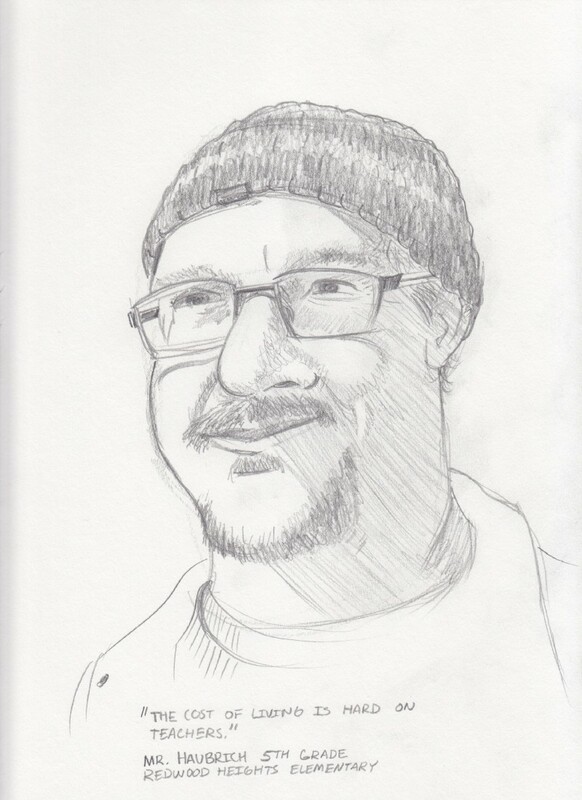 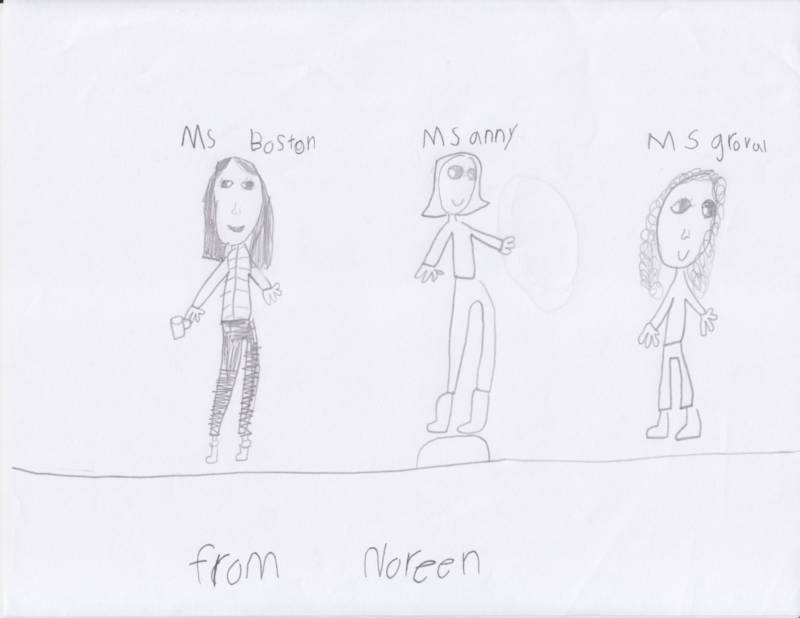 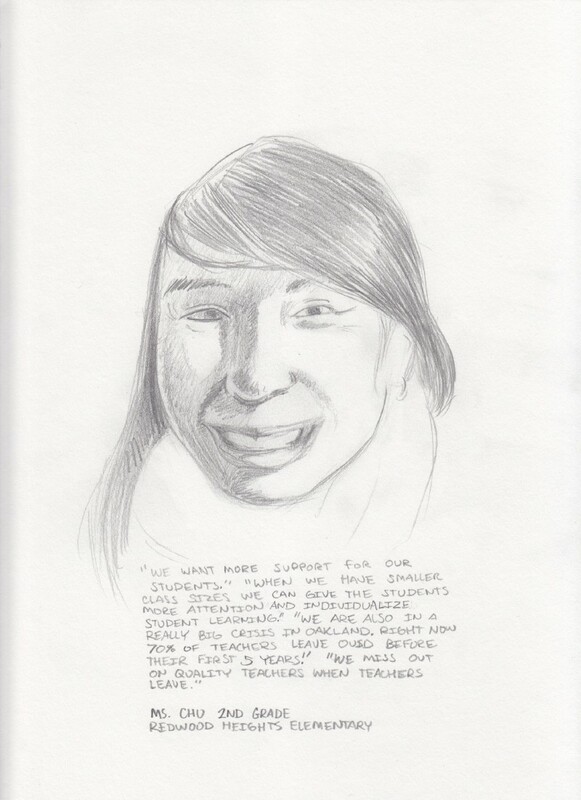 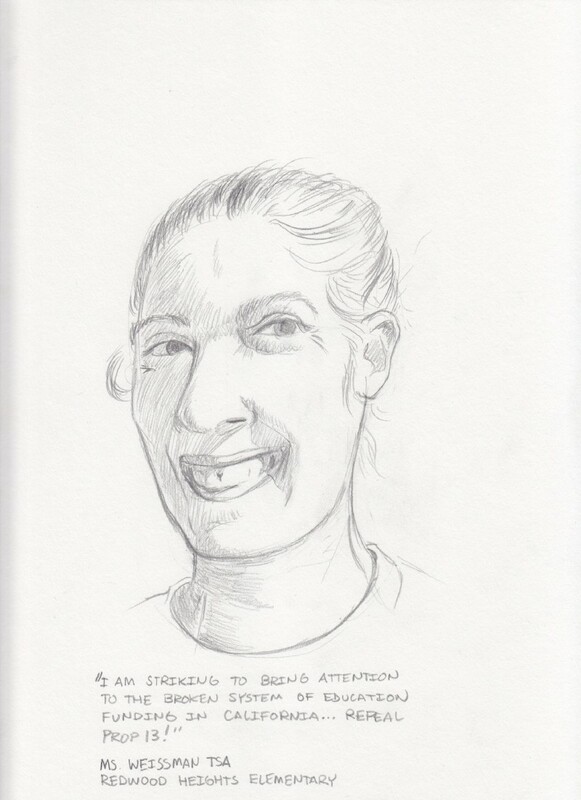 Each artist then drew portraits of the teachers they talked to, coupled with quotes from the teachers themselves. 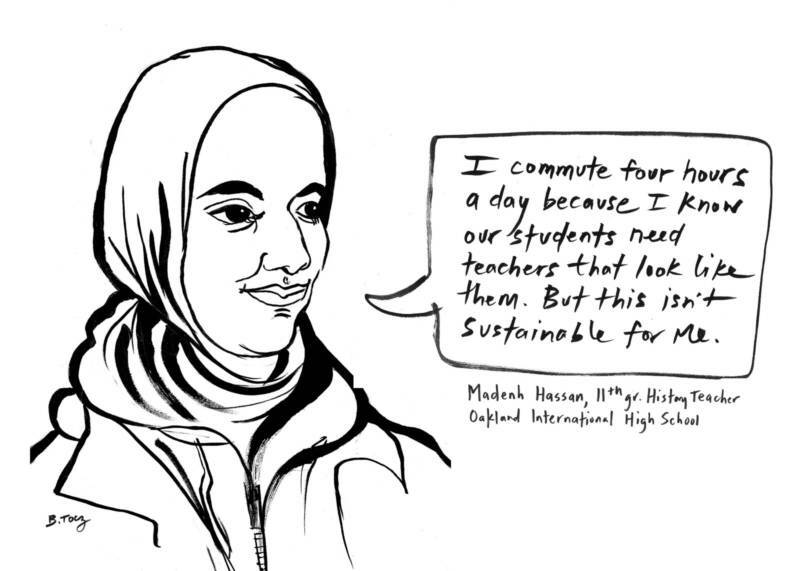 "We heard teachers worried about the effects of high teacher turnover on students’ education; frustrated by the dearth of nurses, counselors, and speech therapists at their schools; dealing with absurdly limited resources and staff; and perplexed by a system that favors administrative salaries over their kids," says Lauren Davis, a member of Bui's arts activism group Art Hack. 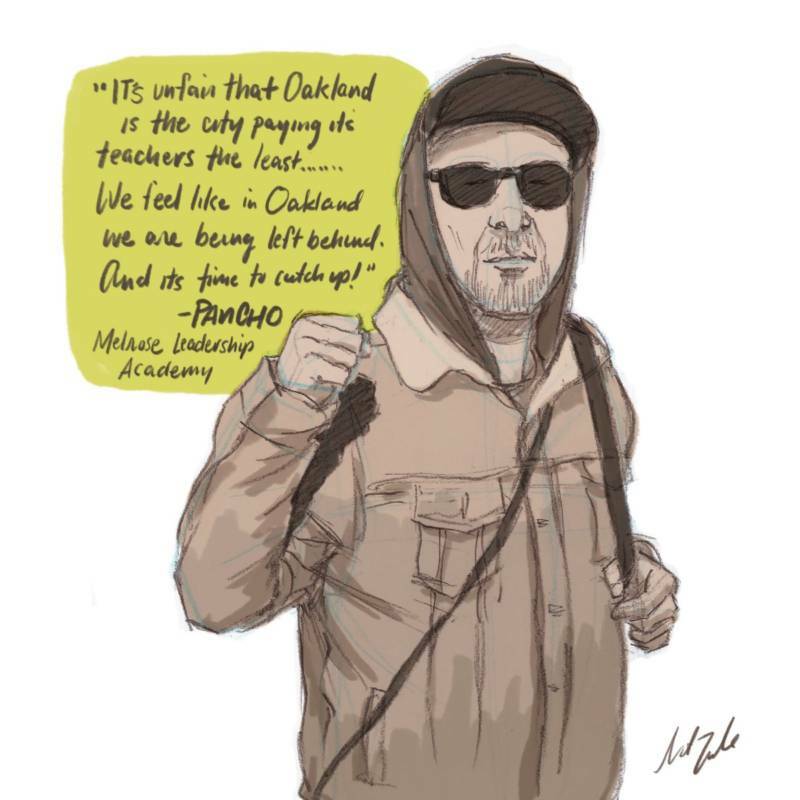 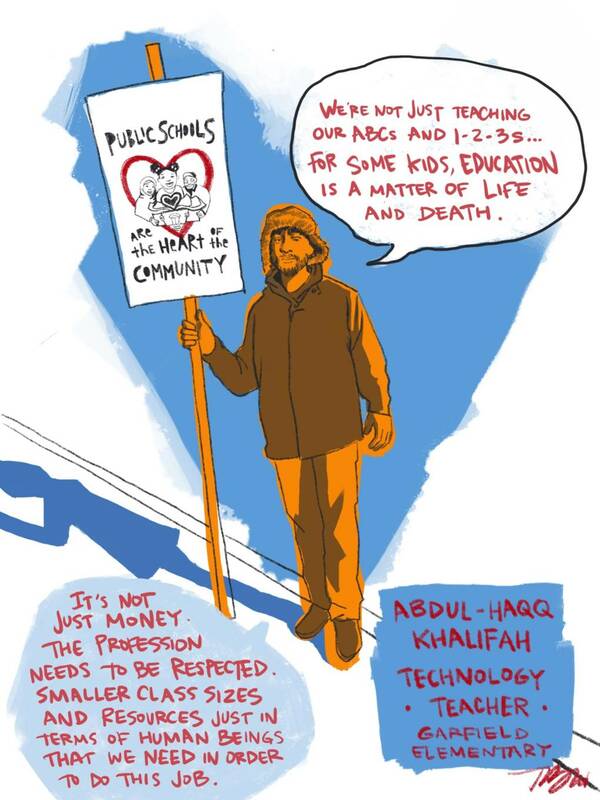 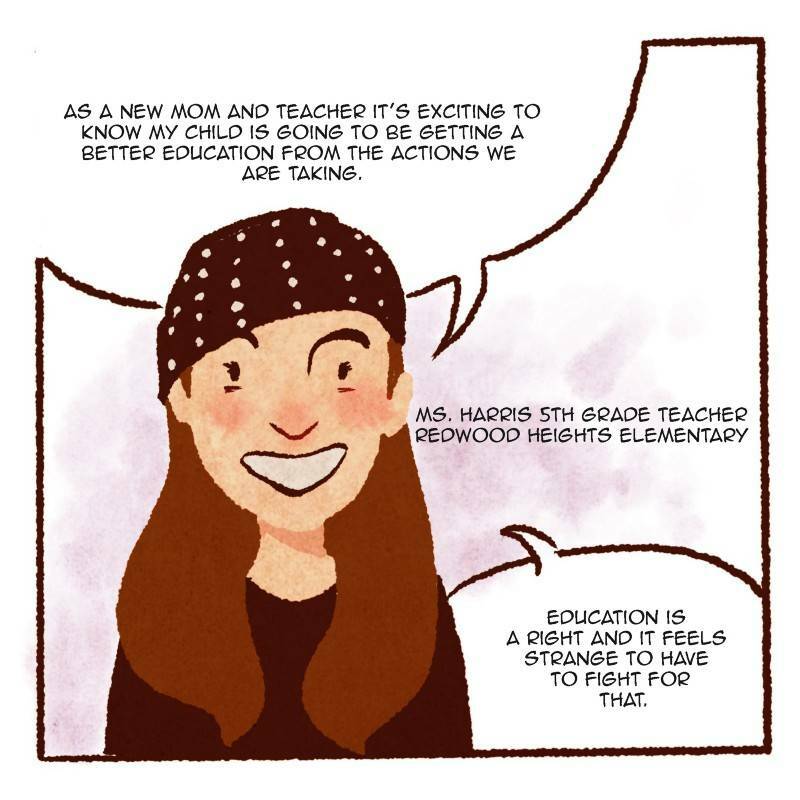 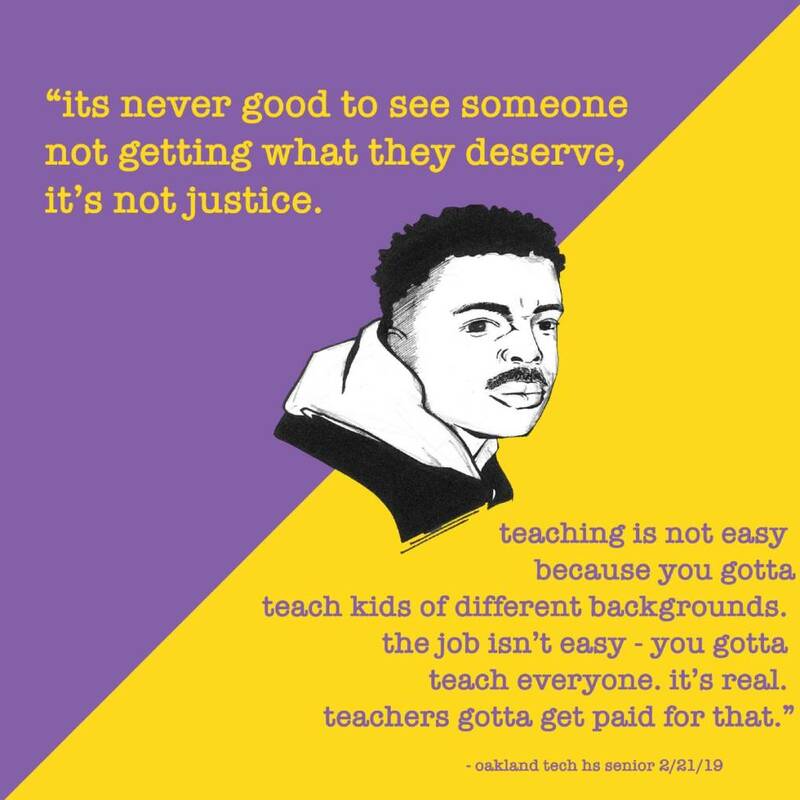 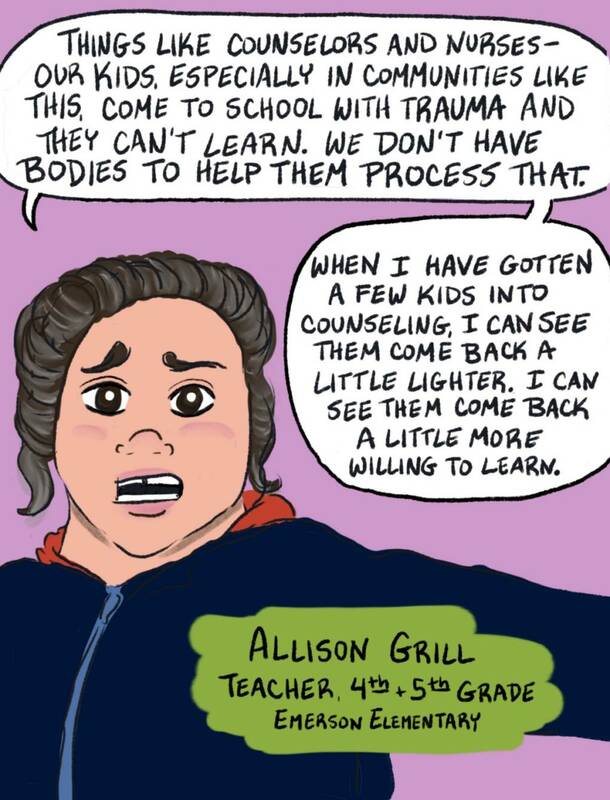 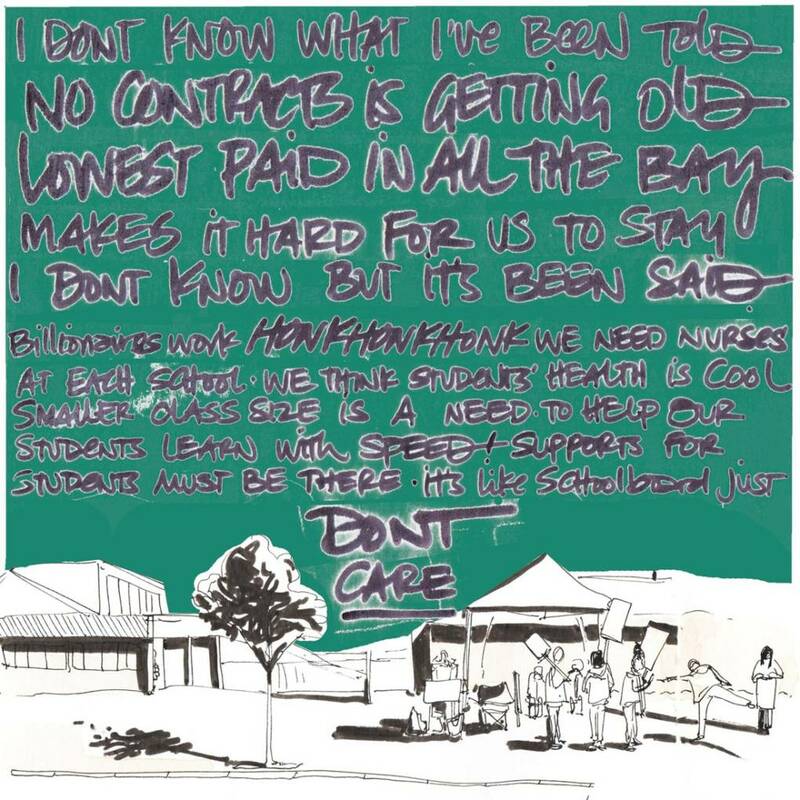 "These are passionate educators fighting a battle for Oakland’s youth." 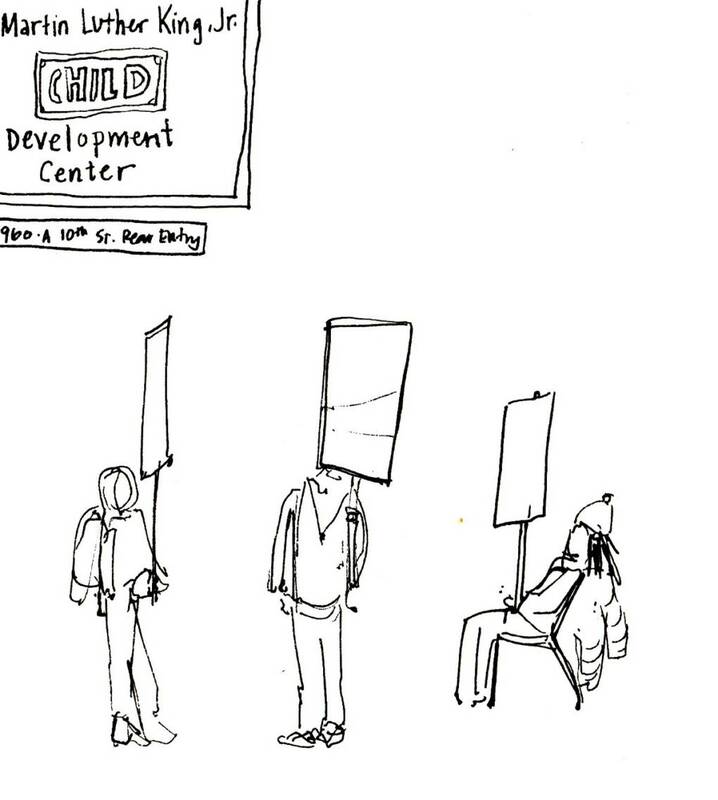 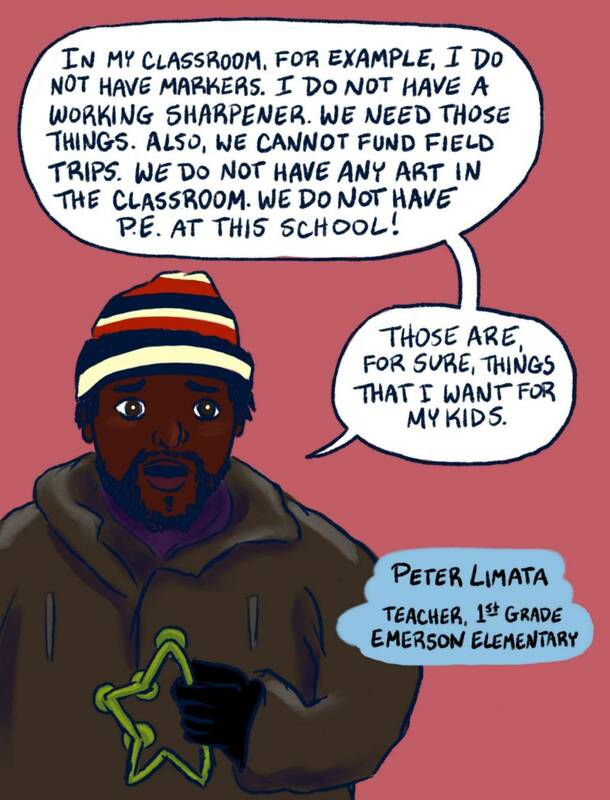 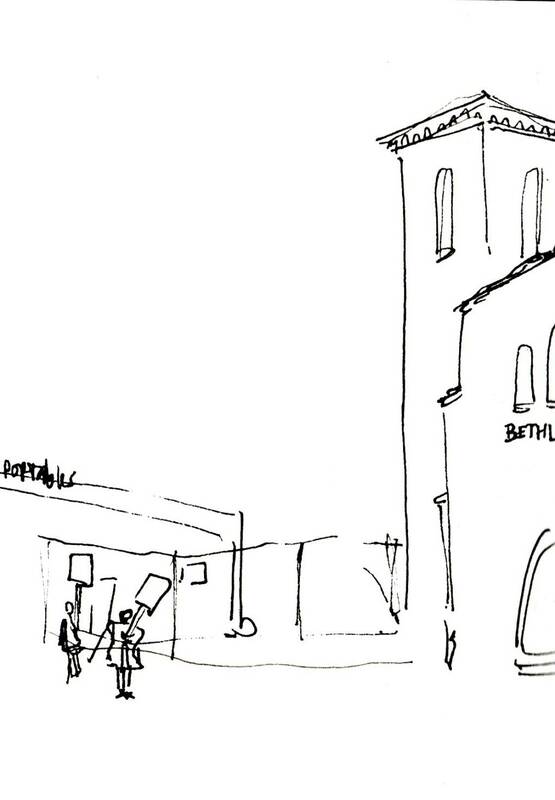 For Bui, a Caldecott Award-winning illustrator and the creator of the graphic memoir The Best We Could Do, supporting a living wage for teachers is personal. 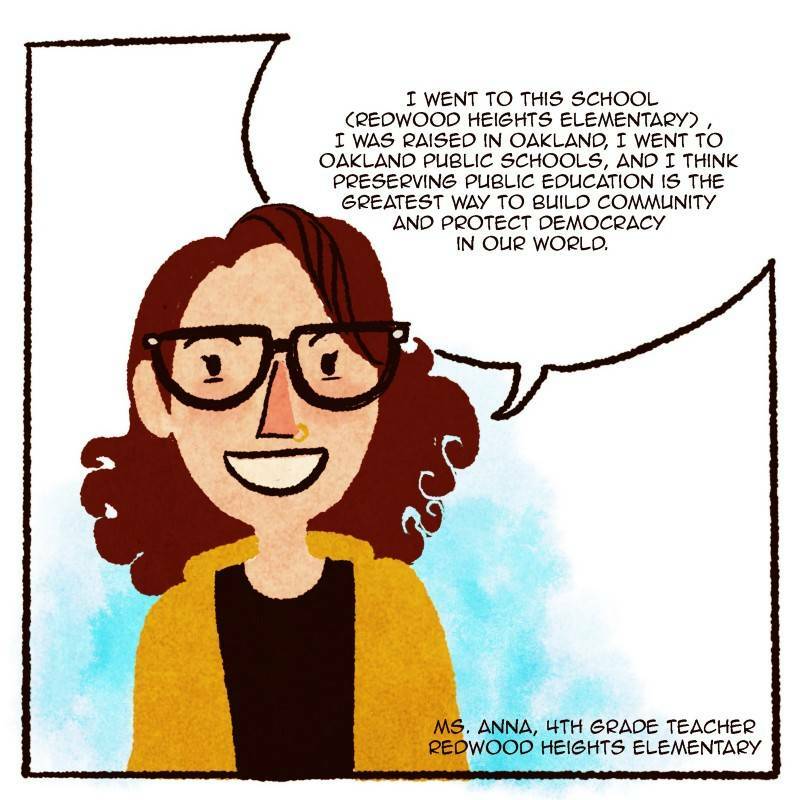 "They are the people educating our kids," she says, reflecting on her own time in Oakland classrooms. 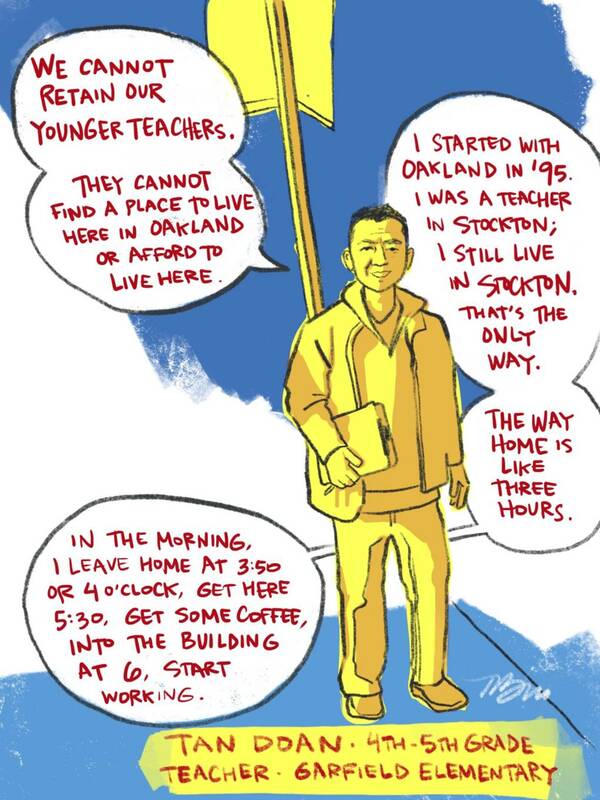 "With the unaffordability of the Bay Area, and how important the teachers are for our kids and our city, we have to do better for them, and listen to them." 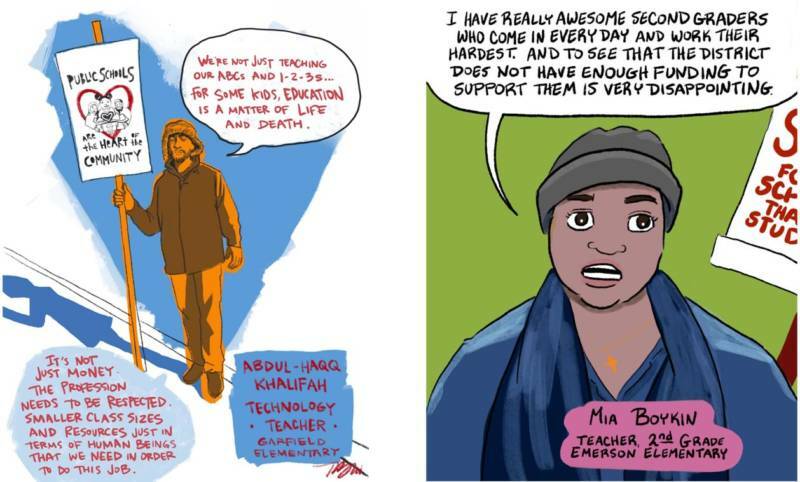 See the results of these artists' work below.